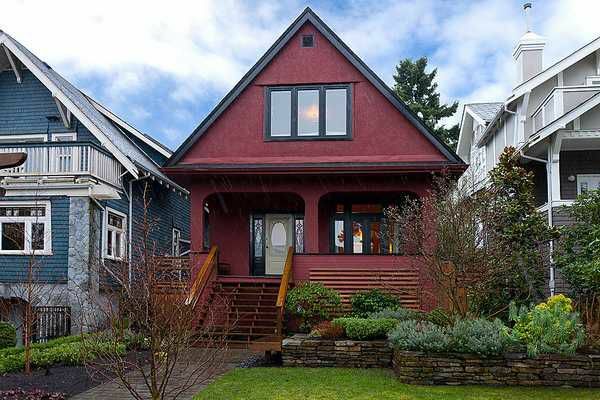 North of 4th Heritage Style circa 1912 with original character features and substantial updating. Large entrance foyer with spacious living room with rebuilt wood burning fireplace, dining and updated kitchen with Maple cabinetry & SS appliances. Euroline windows & French Doors off Dining room to verandah and kitchen to south facing sundeck. Oak and fir floors throughout with radiant in floor heating on the main & lower levels. Three large bedrooms upstairs with mountain views and beautiful new bathroom with glass tiles and skylight. Excellent lower level accommodation has been excavated to create a bright space with high ceilings and lots of natural light. Wine cellar, separate studio and storage space, mature landscaping with in ground sprinkler system. A private and quiet setting on a great residential street close to the beach as well as great restaurants & shops.